Robyn has been a nationally certified signed language interpreter for over twenty-five years with particular service in the field of healthcare. Her scholarship in decision-making and ethics in community interpreting is recognized internationally. 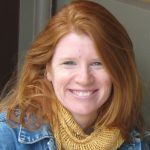 Robyn has over twenty publications, all of which focus on the theoretical and pedagogical frameworks used to advance the practice of community interpreters. She is currently an Assistant Professor at the Rochester Institute of Technology, where she is the lead instructor on the institute’s postgraduate degree in healthcare interpretation. Robyn also teaches on postgraduate degrees designed for signed language interpreters in Europe.